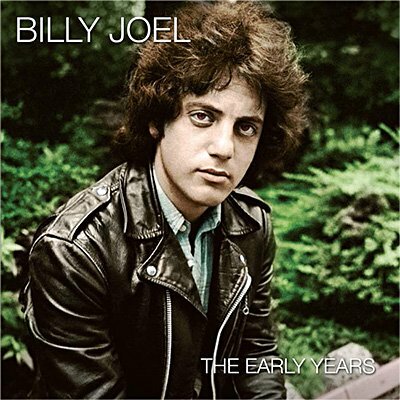 That was the one that made me the superstar I am - Billy Joel announced after playing the buoyant Everybody Loves You Now from his 1971 solo debut Cold Spring Harbor, a few months after its release during a live radio concert on Philadelphia's WMMR. Joel, then just 22 years old, was promoting a non-charting album that had been mastered at the wrong speed and was part of a production deal that bound him in near servitude, but his performance with a small touring band (Larry Russell on bass guitar, Al Hertzberg on lead guitar, Rhys Clark on drums) before an invited audience at Philly's Sigma Sound Studios on April 15th turned Joel into an overnight sensation in places such as Philadelphia. The broadcast also reveals a time gone by and an intimacy with the artist that few commercial rock radio stations could achieve today. There would be less room for this particular form of intimacy and adolescent gesturing in his shows as he worked his way up to places such as New York's Carnegie Hall, which is why this particular session stands up so significantly. Echoes very proudly presents the prestigious 15th April 1972 broadcast from WMMR-FM's Sigma Studios in Philadelphia. Offering a unique and precious glimpse into the early career of one of the world's most highly recognised song writing talents to emerge from America.